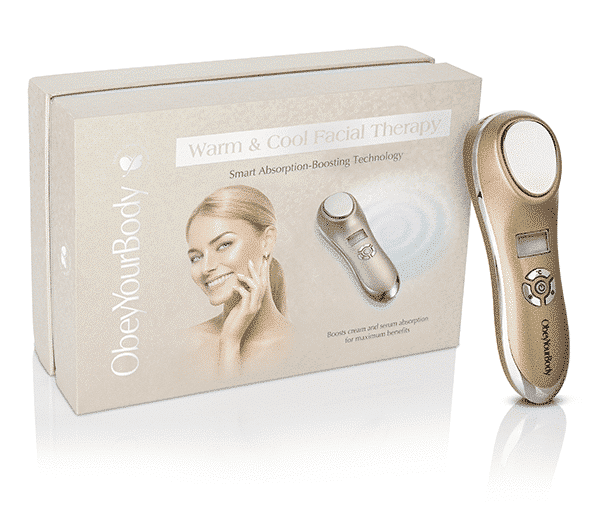 A revolutionary skin care device that uses sonic waves to rapidly minimize the appearance of fine lines and wrinkles. Maximizes the effectiveness of creams and serums by tripling product absorption. Special heat function helps to gently open the pores and work the facial muscles, helping creams and serums to more effectively penetrate the skin’s deepest layers. This successfully enhances the skin’s hydration and moisture balance for a smoother, suppler look. Innovative cool function acts to minimize pores, locking in moisture and nourishment. Used with sonic vibration, it helps to tone the face and neck, for a look that’s noticeably firmer and tighter. For best results, use with the DECO product range. Cleanse the face thoroughly before use. When the device is fully charged, press and hold the power button for 3 seconds. Select the desired mode and apply to skin. After use, press and hold the power button for another 3 seconds. Pat the treated area with a clean, lint-free cloth. For full operating instructions, see the enclosed leaflet. Warnings: Only use the device for its intended purpose and in accordance with all operating instructions. Do not drop or disassemble. Do not use if the device or power cord is damaged. Stop use immediately if the device becomes unusually hot. Store in a cool, dry place. Keep out of reach of children. Users under 18 years of age must be closely supervised. Do not use on sunburned skin or open wounds. Consult your doctor before using this device.